With revenue of $60 bln in the last three months alone, it’s hard for Jeff Bezos’s firm to stay camouflaged. U.S. presidential hopeful Elizabeth Warren has already made Amazon a target. Expect more cash to be diverted into socially helpful technology and geographic dispersion. The Wall Street bank upped its stake in a mutual funds joint venture using Taobao, Alibaba’s online mall better known for makeup and clothes. E-commerce is playing a bigger role selling Chinese financial assets, but it makes some uncomfortable. This deal could reassure doubters. Warburg Pincus plans a Hong Kong listing for $4 bln warehouse operator ESR. Fancy godowns are in short supply and e-commerce is booming. Yet public markets have not favoured regional rivals like GLP, taken private in 2017. Plain packaging will help the sale stack up. Yahoo spent years trying to avoid taxes on selling its stake in China’s Alibaba. After various advisers and schemes failed to find a magic bullet, successor Altaba is paying up. That’s an equitable outcome. It also gives other tax holdouts reason to stop dawdling and pay up. An IPO valuing the U.S. taxi app at up to $24 bln warrants a fresh look at its biggest shareholder. Lyft will now account for about a fifth of the sprawling Rakuten’s market value. Even with a SoftBank-lite investment success, however, the scattershot approach looks shaky. The e-commerce startup from Rocket Internet is hoping for a $1.4 bln price tag when it goes public in New York. Sales are galloping but so are losses. That’s a punchy valuation given the poorest continent’s social and political problems – unless Alibaba or Amazon are the buyers. The Johannesburg group is shifting internet investments, including a $134 bln stake in the Chinese web giant, to an Amsterdam-listed unit. That might tempt investors wary of South African risks. But it does little to address fears that Naspers will squander its Tencent windfall. The 166-year-old jeans-to-jumpsuits maker is worth $8.7 bln after shares popped 33 pct on its return to the public market. That’s perhaps justified, but it’s a stretch, suggesting denim will remain in vogue. Recent bankruptcies of two rivals are a reminder such fashion fads fade. The $29 bln shopping app is giving investors a taste of Chinese tech: promise, growth and volatility. Shares fell over 17 pct after it spent far more than expected in 2018 to lure and retain customers. Still, the experience of rivals like Alibaba suggests better times ahead. The Chinese e-commerce group’s sales rose by more than a fifth to top $20 bln in the fourth quarter. But heavy investment in new bets means JD is barely breaking even. Financial discipline would help, but may not be enough to counter cooling demand and competition from Alibaba. Google and Facebook’s combined share of U.S. online advertising is poised to fall for the first time this year. 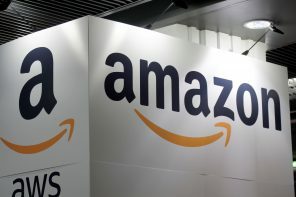 The reason: Amazon is taking a bite out of their slice. Even a muscular challenger does little to reduce the case for tighter regulation. The $290 bln company’s quarterly sales defied the overall slump that hit U.S. retailers in December. Earnings beat expectations too. Walmart’s growing online revenue and cheap grocery business should help it capitalize on weaker retailers’ misfortune in a softer economy. Even by Chinese tech company standards, the $31 bln e-commerce outfit has had a volatile start to public life. A $1 bln follow-on will up the float and help to ease wild price swings. But ballooning losses, competition with Alibaba, and legal woes will continue to create a stir. The e-commerce giant’s plan for a second HQ is in jeopardy over local opposition. One idea would be to give up half of the $3 bln in incentives. Amazon can afford it, and rival Google created jobs for less. If that doesn’t quiet the critics, Amazon may be better off elsewhere. The U.S. titans will be limited to operating marketplaces and prevented from being online retailers under New Delhi’s rules. That opens the door for billionaire Mukesh Ambani to power ahead with his own e-commerce plans. The miscalculation by Amazon and Walmart could be costly. The e-commerce giant’s holiday quarter sparkled with revenue growing 20 pct. Web services and advertising are two of the biggest sources of this expansion. They’re also the most profitable and have plenty of juice left in the tank to power Jeff Bezos’s already lofty ambitions. Quarterly sales grew 41 pct, the weakest pace in three years. But there’s still momentum in Jack Ma’s retail juggernaut. China’s wider slowdown has been marked by tepid demand for big-ticket items like iPhones. Everyday purchases like groceries and apparel are propelling Alibaba.